One of the reasons to get the new iPad(s AAPL) is to take full advantage of the 4G LTE wireless connectivity options offered by cell carriers. But what if you already have an iPad, and already have a data plan for that iPad? Fear not — you can transfer that data plan the day you get your new iPad with little to no hassle at all. 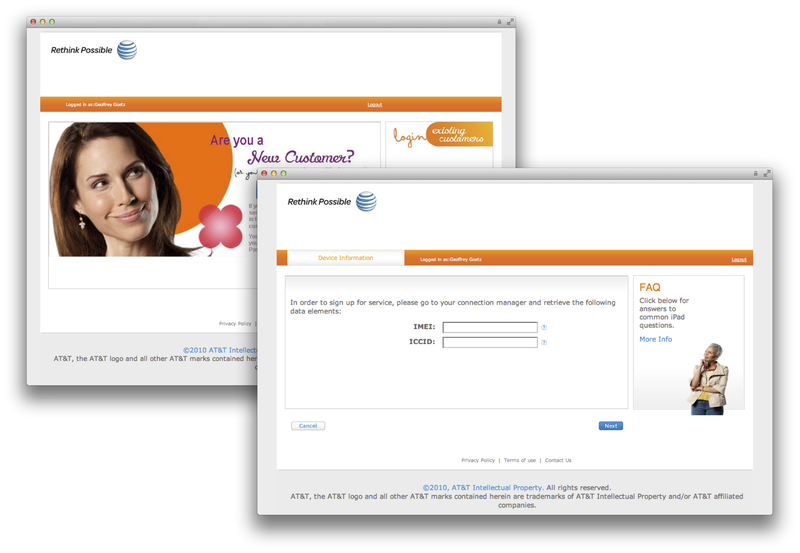 First, you will need to log on to AT&T’s website and transfer your account over to your new iPad. (If you don’t know or forgot your AT&T(s T) account password for your iPad, you can have one re-issued to you.) You will also need to know your new iPad’s IMEI and ICCID settings. These are both located in the General settings on the iPad under the About section. Log on to www.att.com/ipadlanding to access your account information. This process should take effect instantly and will not change or affect any other information on the plan. It has been reported that original iPad owners who have been able to retain their unlimited-data plan with AT&T will be able to keep this plan at the faster 4G LTE speeds. If you are unsure or just want to talk to an AT&T representative before doing the transfer, you can always call 1-800-331-0500 for assistance. It appears that, if you are transferring your Verizon(s VZW) data plan, you will need to contact Verizon directly by calling 1-800-786-8149 and have a service representative transfer your plan from one iPad to another. Then you will need to “Reset Subscriber Service” as well as “Reprovision Account,” which are both located in the General settings under Reset. For both carriers, you may have to restart both your old and new iPads in order for the changes to take effect (press and hold the Sleep/Wake button on the top of the iPad for six seconds). If you search Apple’s site, you will find an outdated support article claiming that you should transfer the SIM card from your old iPad to your new iPad. This may in fact cause some issues with your carrier and force you to re-activate your iPad, or worse, cancel your account. The best bet is to stick with each carrier’s update instructions and keep the original SIM card in the iPad it came with. Fond of your Apple iPad 2 or thinking of upgrading to a Apple iPad 3 but afraid of looking awkward using a Capacitive Touch Device in public? Love your Android smartphone or Apple iPhone but wish you could do artwork on it? Why not make yourself your very own Capacitive Touch Screen Stylus. My DIY article shows you how!!! After speaking with att rep I went to att retail store and got my card changed with no problem. I still have my unlimited plan for $29.99. The rep said they have to replace the card so you can get the full 4g signal. I replaced the sim card from my original ipad to the new ipad. The reason that I did this was I could’nt view my account. Thanks for the screen shot. I was having trouble activating my existing service because I could not see the next button until I saw it on your screenshot. Then I just scrolled down and there it was!